This stylish rectangle freestanding bathtub will blend effortlessly in any design scheme for a stunning focal point that boasts aesthetic features such as a deep water level for decadent depths. 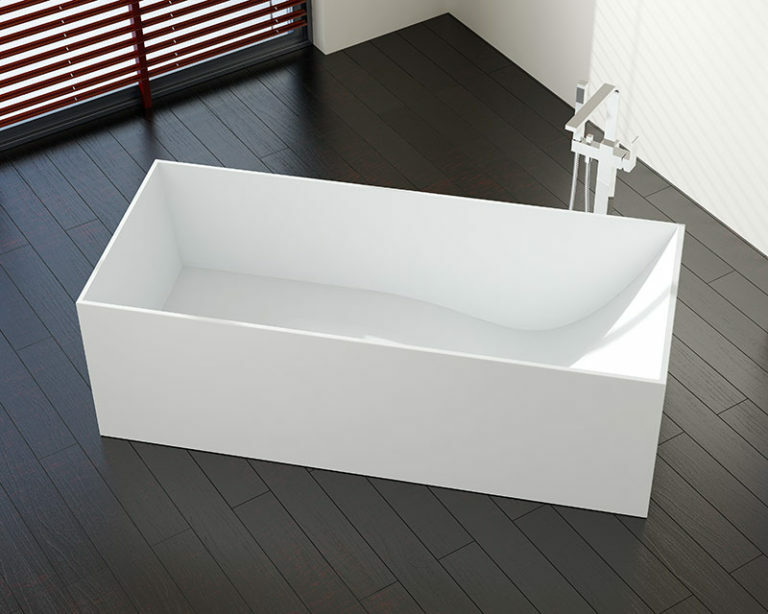 This elegant luxury tub explores the heights of sophistication with hard edges and flat boarders that transforms this stand alone tub into a bold work of art. Open and inviting, the traditional craftsmanship of this modern bathtub creates a stunningly durable design due in part to the 100% non-porous that is unaffected by external forces such as moisture and humidity. Enjoy a peaceful retreat that epitomizes style and grace.